June Geng | Alex Rebanks Architects. Inc.
A creative, thoughtful and detail oriented problem solver, June has 18 years of experience in architectural and interior design with extensive expertise in healthcare, retail, and corporate office, from large complex projects to small renovations. 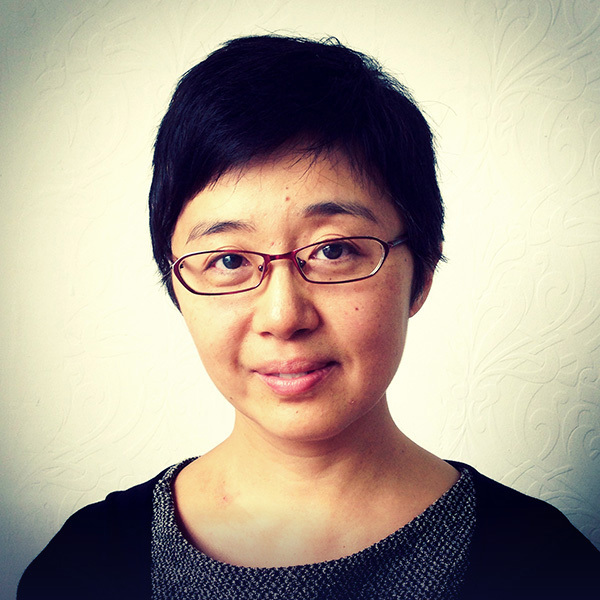 June obtained her architecture degree in China, and worked as an interior architect in Beijing. She participated in the design and delivery of corporate interiors projects for well-known companies like IBM, Siemens, Boeing, World Bank, and BBDO. Since moving to Canada, June has been a core team member of many award-winning, large-scale healthcare projects, including the Thunder Bay Health Center, William Osler Health Center, and St. Joseph Health Center in Hamilton. June has also accumulated project experience for brand name retail stores, like Walmart, Sobeys, and LA Fitness. Clients appreciate her for her understanding of the design and delivery of prototype stores, efficient space planning, good communication and her great patience. June loves nature and traveling. “Unity of nature and human” is an ancient Chinese philosophy rooted in her mind. Achieving this harmony is her pursuit in work and life.